Mama Becky recently got out of the hospital. . .again, pneumonia. She reports feeling better than ever. Continued prayers much appreciated. French classes start for yours truly Monday afternoon. I've been offered a summer class at U.D. Second term: "Western Theological Tradition." Still waiting on a gallery copy of the second prayer book. It's due out May 2010. First Niece is doing very well with her Sylvan tutoring. Much like her uncle did at her age, she's battling the demonic hordes of the fiend, Math. Scary: "Presidential emergency powers" is a phrase we are used to hearing used by Third World junta thugs not from the U.S. Congress. 56% say that the government is the biggest threat to American civil rights. See above. Zombies and the First Amendment! Stumbling towards the Apocalypse. A dangerous rhetorical shift: "freedom of religion" vs. "freedom of worship." Yes, it matters. A great deal. A victory for free speech and free exercise in a public school. Yes, it can still happen. Judge calls priestly celibacy "cruel." Of course, we all know that the real cruelty here is the idiocy of this judge. I'm sure that this clock is a metaphor for some important philosophical concept. . .just not sure which one. Maybe the "fallacy of non-indexical allusion"? Uh? "I say to you, love your enemies, and pray for those who persecute you, that you may be children of your heavenly Father, for he makes his sun rise on the bad and the good, and causes rain to fall on the just and the unjust." Loving your enemies in the abstract is easy. 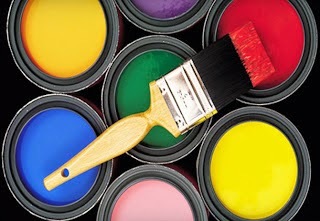 How do you love them concretely? What is the purpose of praying for those who persecute you? How exactly does loving your enemies and praying for your persecutors make you a child of God? Why does the fact that the sun shines on the just and unjust make praying for the unjust necessary? What reward is there for us in returning love for love if sinners do the same? In what way is Jesus calling us to be "unusual"? How can we be perfect as the Father is perfect? He is God; we are His creatures. Concretely, by what means is Jesus teaching us to be perfect as the Father is perfect? What distracts us from this path? In what way do you imitate the pagans/tax collectors rather than the Father? Anti-Catholic bigot and movie-maker, Roland Emmerich, is being sued by the archdiocese of Rio de Janiero for using their iconic Jesus statue in his movie, 2012. This is the coward who admitted that he didn't portray the destruction of any Muslim sites in his disaster movie b/c he feared violent retaliation. Maybe if he loses this suit he'll think twice about his gutlessness. Experiment in totalitarianism is FL school. Not mentioned in the report is whether or not students on either side of the "wall" were allowed to practice their faith openly. Report on religion blogs. . .alas, HancAquam didn't make the list. Sigh. The necessity of Vatican Two. . .well-balanced and insightful article. Reform of the reform? NB. The liturgical document from VC2, Sacrosanctum Concilium calls for a renewal not a reform of the liturgy. The difference btw the two words and their use in context is significant. For geeks everywhere: why I don't have a girlfriend. More Japanese weirdness. These guys have very creative minds. Ticket to Hell? Well, a ticket to the Art World Doghouse at the very least. While touring the museums of Greece last year, U.D. students were constantly reminded by the docents not to pose with the statues. Apparently, such a thing is considered disrespectful. Now I know why. A four year old post on vocations to the priesthood. . .
"Ask and it will be given to you; seek and you will find. . ."
No doubt Jesus intended this teaching to be comforting. He is reassuring us that all we need, all we seek will be provided if we but ask. However, the assumption of this teaching is that we know what we need, that we want what we seek after. Is this true? Do we know what we need? Do we really want what we seek? If we limit ourselves to asking for the daily basics (food, etc. ), then there's not much to worry about here. But what if we already have the basics and believe that we need more, or that we need something else? How can we be sure that what we are asking for is really a need not just a want? How can we be sure that what we seek is really worthy of having? The key to knowing what to ask for, what to seek after is this: will what I ask for/seek after help me to serve God by serving His people? Any gift we receive from the Father is given to us so that our service might be fruitful. 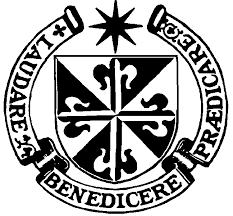 For example, in the Dominican Order, we study, pray, live in community, and follow the evangelical counsels for one reason only: to be better preachers. Study is never an end in itself, but simply a means to achieve the goal of preaching the gospel. So, when you ask, when you seek, discern the purpose of what you ask for/seek after. If that purpose is the glory of God and service to His Church, then ask, seek. . .you will receive and find. One of the most important ecumenical projects for this century will be the defense of religious freedom in the U.S. against the constant assaults of anti-religious bureaucrats. Oregon repeals ridiculous law forbidding public school teachers from wearing distinctive religious garb. Campus speech codes and the decay of language: prosecuting the innocent to push an agenda. If a doctor can bring himself to perform an abortion, should we surprised when we find out that he is a ghoul? Evil twists wisdom to folly. Zombies may be undead. . .but there's no good reason why they should be under-dressed. As a staff member of a psych hospital, I frequently had to deal with patients who believed that they were Jesus. I once asked a shrink if psych patients in Asia ever claimed to be the Buddha. He was not amused. This link is for him. Why are Israeli "art students" working so hard to sell their wares to DEA agents? Weird. There are many things that I will never caught dead doing. This is in the top five. U.S. hires the Borg to design and build a new $1 billion embassy in the U.K. Apparently, when it comes to indulging the temptation to spend taxpayers money during a recession, B.O. says, "Resistance is futile." If the pagans of Jesus' day babbled at prayer, attempting to gain the favor of their fickle gods, then what is it that we do in prayer that distinguishes us from them? Why isn't Christian prayer just pagan babbling using a different vocabulary? The difference that matters is this: we do not pray in order to appease God, or to bargain with Him, or to cajole Him into changing His mind. We do not perform magical rites in order to gain control of God, or to summon Him before us to explain the mysteries of the universe, or to help us find buried treasure. He is not a wood sprite, or a water nymph, or a mountain spirit. Nor, for that matter, is He an impersonal Unmoved Mover, or an abstracted First Cause. Our God is our Father, a father who knows all that we need before we ask. What bargain could we strike with someone who knows us better than we know ourselves? What kind of father would subject his children to capricious fortune, to stultifying fate? If we do not bargain or appease or cajole with our prayers, and if our Father already knows our needs, then why do we bother praying at all? By definition, it seems, Christian prayer is nothing more than vain babbling! Perhaps we are more pagan than we want to admit. And this would be true except that Christian prayer is first and foremost an exercise in transforming the ones who pray. Prayer changes us not God. By asking for what we need, even though God already knows what we need, we establish and nurture the deepest roots of our relationship with our Father: humility. By asking for what we need and receiving His gifts with thanksgiving, we feed, strengthen, and grow our obedience to His will and thrive by participating more intensely in His divine nature. And this is why the Word was made flesh: so that we might come to the Father perfect as He himself is perfect. Isaiah reports the Lord saying, “[My word] shall not return to me void, but shall do my will, achieving the end for which I sent it.” He sent His word among us with a purpose. Not to frighten us with threats of punishment, or beat us into submission, or bribe us with promises of fabulous wealth. He sent His word among us to love us and to return us to Him in love. We do not have to consult drugged-out oracles, or read the entrails of sacrificed animals to know our Father's will for us. We pray, “Your will be done. . .” and give Him thanks and praise. His word will achieve its end. And that end is our salvation. I have a list of airports that I will not use--O'Hare, JFK, Miami, and Heathrow is edging its way onto the list. Now I will have to add any airport using full body scans. Curious: will they have Extra Roomy Scanners for us full-figured passengers? You know, like those open MRI machines? Dude! Pass the Spirit of Vatican Two peace bong! Does this pic help explain what happened to the council? Warning: do not click this link if you are serious about Lent this year! How do you say "cheese-eating-surrender-monkeys" in Dutch? Tradition has it that Dominican wear their rosaries on the left side of the OP habit as a replacement for the knight's sword. I wonder if a holstered .38 would be appropriate on the right side? Technology put to the best use possible. Finally! 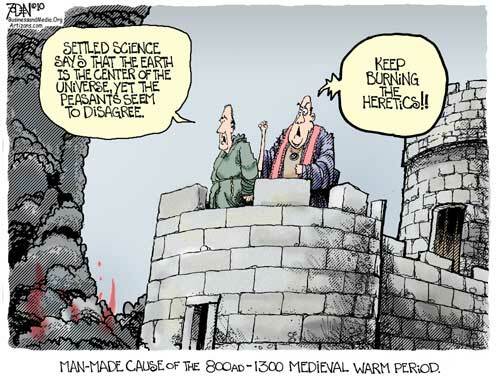 The true cause of the medieval warming period. . .
Is the U.K. Labour Prime Minister physically abusing his staff? More proof that SSM is all about pushing the Church out of the public square. Why are condoms taking up 70% of the medical storage space in Haiti? The limits of left-liberal tolerance in Sweden: Jews leaving b/c of rise in anti-Jewish attacks. What lives in the deepest depths of the ocean? I wonder if this guy could build one of these to come clean my room: Japanese Rube Goldberg machines. Someone is just a little TOO excited by the party favors. World suicide rates. NB. the world's poorest countries have the lowest rates of reported suicide. The rate in the U.S. is 11.10/100,000. In Mexico it's 4.05/100,000.